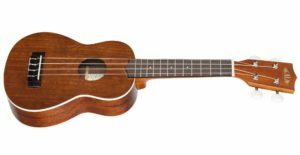 Dan Willard teaches ukulele lessons on the soprano ukulele which is the most common type people start with. He teaches beginning to intermediate levels and all ages. Dan has over 30 years of teaching experience, was assistant music director at Besant Hill School (Happy Valley School) from 1999-2003, and has been teaching at Ojai Valley School since 2002 and The Thacher School since 2007. He began serving as an assistant music teacher in the Ojai Unified School District elementary schools in 2017.